Are you in the market for an automatic gate system for your home or business? Oh, the places you’ll go. What seems like such a straightforward process can wind up being fairly confusing if you don’t reign in the selection process. Ideally, the first automatic gate you choose should be the last automatic gate you choose. That’s because high-quality gates, built and installed by professionals, should last a lifetime. The more detailed you are in your current selection, the more likely you are to select a one-hit wonder that you are as happy with in 30 years as you are now. Here are some of the things you should consider when replacing an existing gate or building an automatic gate system for the first time. Work with an experienced installer. It’s always best to go out and get two or three quotes for your automatic gate system. However, make sure you get those quotes from a licensed, insured and experienced garage door and gate installer. You can check business licenses with your local building department or state websites using the company’s license number. That number should be provided on their website, business cards or over the phone. When comparing bids, make sure you compare apples to apples so you don’t go with the lowest bid, only to find it wasn’t as comprehensive as the honest, middle-tier bid from a more experienced fabricator and installer. What does your HOA have to say about it? When you buy a lot or a new home in a subdivision, you are well-versed on the HOAs. Over time, however, some HOAs can seem almost non-existent – – until you do something you aren’t supposed to. The first thing we do when working with residential or commercial clients is to verify whether or not they are beholden to an HOA. If so, learning the ins-and-outs of what is allowed, and what is not, is worth it. In many cases, your gate plans, colors, materials and so on will need to be approved by the HOA or their established improvements committee, so plan for that. Take the time to figure out what the rules and restrictions are now so you aren’t surprised later. Keep in mind that most installed gates will not fall under warranty if the only reason for replacement is an unhappy HOA. You’ll have to start from scratch, and wind up paying double. That’s no fun. Choose materials for quality as well as aesthetics. There are plenty of pretty products out there on the market, but that doesn’t mean they are durable. Choosing less durable products will result in maintenance issues, more frequent repairs and – potentially – costly replacement costs down the road. Work with your installer to find an automatic gate system that works aesthetically with your architecture and the surrounding environment, and that will stand the test of time. What level of security makes sense? It’s easy to think you need the highest level of security available, but that comes with a price and it isn’t always necessary. For almost all residential applications, we recommend a simple access entry system with a single pass code, or perhaps two (one for family, one for guests) and remote controls. The gate itself will help to keep children and pets safe from road traffic and will prevent the average lookie-loo or solicitor from approaching your front door. A simple 4-digit passcode combined with a security alarm is all that’s needed to ensure breaking-and-entering of any kind goes instantly reported to the police. However, if you prefer a higher-level of security, you run a home business or you prefer to know exactly who is entering when, you may opt for a higher-level system that provides individual codes for better security tracking. Think about long-term maintenance requirements. It’s a good idea to have your automatic gate inspected and serviced every year to keep it running efficiently and to proactively repair or replace parts that look worn before they break down on you. One thing worth remembering: the more moveable parts there are, the more opportunities there are for maintenance issues. Consider what you are interested in when it comes to long-term maintenance responsibilities and choose a gate that fits that vision. It is also worth it to invest in the best-quality mechanical components on the market, which will increase gate efficiency and decrease the amount of time you spend dealing with malfunctions. The more time you take now in selecting the right design, mechanical systems and access system for your property, the more you will enjoy a lifetime of lowered maintenance as well as reliable security and operation. 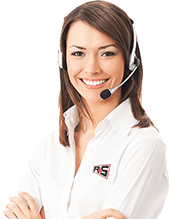 Schedule a consultation with R&S and we’ll walk you through the ins and outs of automatic gate selection – no upsells, false promises or hype. We want our customers to choose a gate that makes sense for them, and we make that happen at a competitive price.